This is a list of apps which tried to communicate but interrupted by PackeSave. 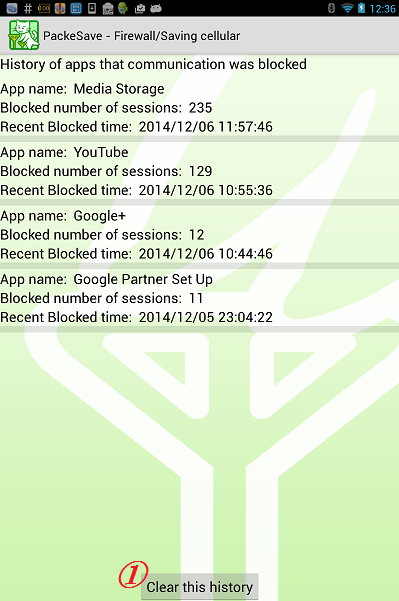 The app names and the number of sessions which was stopped are in the list. you can register the app by long tap. You can clear the list by tapping (1) [clear this history].